Your home is a properly functional system and each of its components plays an important role. Crawl spaces are often the ignored part of a home, but an important component of indoor air quality. It’s to be noted that 50% air in the first floor of a home actually comes from its crawl spaces. And if this area is neglected, it becomes a fertile breeding ground for moisture, dust mites, and molds, which ultimately expand in every part of your home. This results in degradation of indoor air quality and the stability of your building. AdvantaClean crawl space specialists in the Emerald Coast can help you get rid of these problems with their profound experience of 20 years. We have the knowledge and the experience that help us guarantee full customer satisfaction. 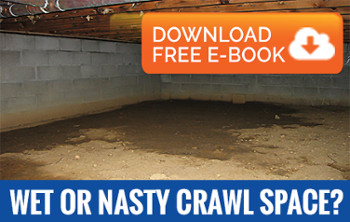 If you notice any of the problems mentioned above in your crawl space, you should be careful. Chances are that you may already be facing problems in your crawl space while you are reading this web page. At AdvantaClean, we have the expertise for solving all types of crawl space problems such as mold and moisture intrusion and we are sure of solving these problems for good. Our crawl space services like repair, moisture and mold remediation and encapsulation will help create a conducive atmosphere in your living space and also help you save on energy and home maintenance costs.